Well, it's that time of year again. It's the season of giving and in the spirit of things I am offering a free developer license to three (3) lucky winners. That's right! I'm giving away 3 memberships. 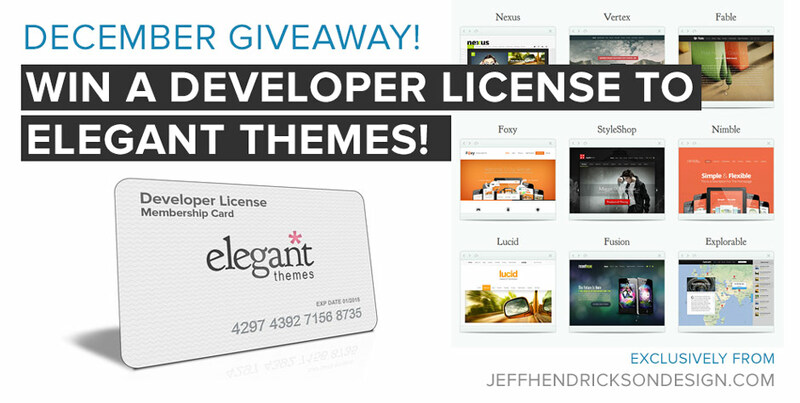 The developer license is worth $89 over at Elegant Themes and gives you an opportunity, not only to download all 87 of their themes for your own use, but you can also use them to develop sites for clients as well. I've been a satisfied member of Elegant Themes for 5+ years now and I keep renewing my membership because they keep releasing cool new themes. And today they are releasing a totally new theme called Divi, which if you check out the video below has a bunch of awesome new features. Your membership will get you access to the brand new Divi WordPress theme. Divi is the most powerful theme Elegant Theme's has ever created. 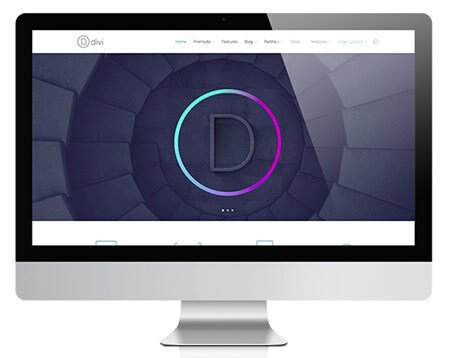 Divi is the smartest, most flexible theme in their collection of 87 themes. 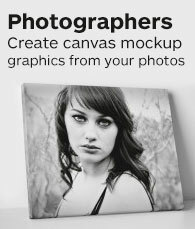 Its advanced page builder and robust modules allow you to create pages from the ground up, giving you complete creative control over your website. Whether you are creating a new online portfolio, photography site, an eCommerce storefront, or a new home for your business, Divi ships with everything you need. Check out Divi in the video below to learn more. 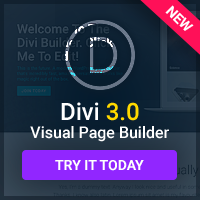 Divi includes a new page builder that allows you to create pages with unlimited variations. All you need to do to enter is take one of the actions listed below in the rafflecopter box. The more actions you complete the higher the number of entries you can gain, increasing your odds at winning. Please be sure to use your main email address when entering as winners will be notified via email the day of the drawing. Good luck to you! This giveaway ends on January 11th so be sure to enter today! I would like to participate in the giveaway. 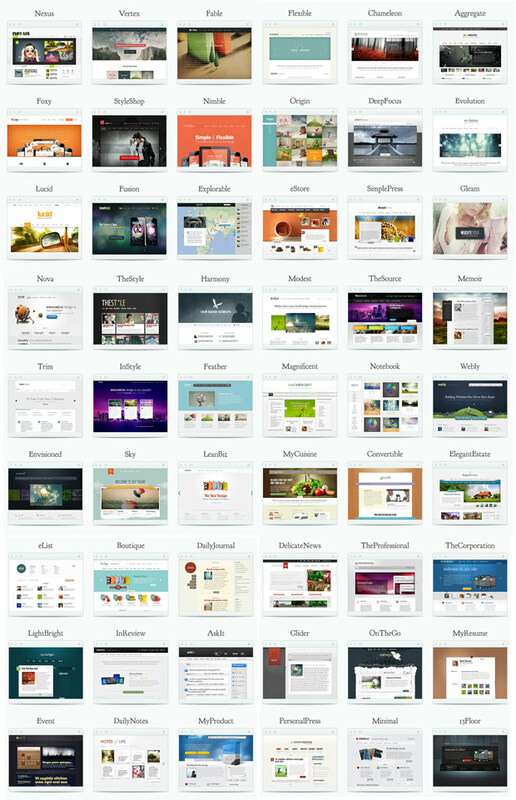 I would like to use this to enhance my personal blog as well as do some presentations for my clients. 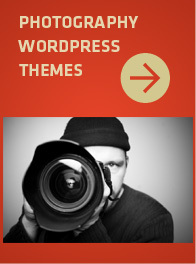 Divi is a great theme. Thank you very much. 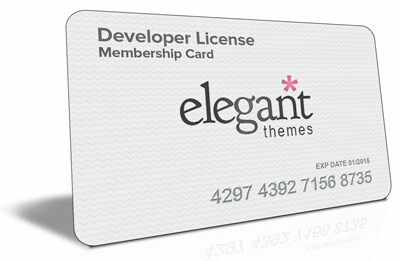 Congrats to Justin P., Julian M and Gayle for winning the Elegant Themes memberships! Thank you all for entering!